Sizzling Oompah. Beer Games. Human Foosball. friggin' awesome. 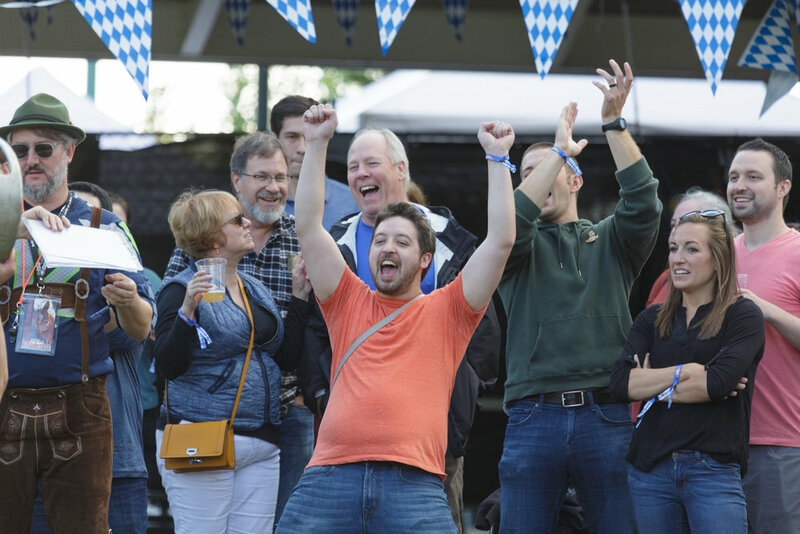 Kirkland Oktoberfest has the best authentic German bands around featuring LIVE music all day. Everyday. Drinking, dancing, and swaying arm in arm under the Big Top Tent. And we mean BIG. HUGE. Filled with long tables, sizzling Oompah, and imported German biers. Oh, and the occasional chicken dance too. Watch the big games on our on big screens or compete to win prizes at beer pong, corn hole, keg rolling, human foosball, and giant yard pong. Serving local NW craft biers. After the sun sets, the Kraft Bier Keller comes alive with music and dancing from the funkiest DJs we could find without going to Berlin. Dates and times for 2019 have not been announced yet.